Tanner Insurance Agency has you covered and specializes in insuring Landscaping businesses across the entire state of New York. Getting started in the landscaping business can be tricky. Not only do you have to get all of the tools and equipment necessary to adequately maintain the properties, but you also have to build up a client list and reputation. Before clients hire a company, they usually do a fair bit of research especially if they are going to be continuously using the services. Not only will a potential customer look at your rates, judge your reliability, and your services, but they will also look to see if you have the proper lawn care insurance necessary for your landscaping business. Contact Tanner Insurance Agency, Inc today for your free quote 315-893-7790. Clients look to protect their money and assets, which is why all contractors should have the adequate insurance necessary to cover any potential faults. When it comes to landscaping, insurance essential and will not only protect your workers, and your clients, but it also covers a variety of tools and equipment as well. Whether you are a single landscaper, or you have a whole team of workers under your command, ensuring that the employees of your business are protected from accidents and injuries on the job is essential. Landscaping is a very physical job, and working with tools also drastically increases the chances of you or your workers sustaining a work related injury due to a mishap. Additionally, covering your equipment is also very important. Not only are tools the key element in you completing your services for your customers, but they are very expensive. Whether you are insuring your lawn mowers, your chainsaws, or even your company truck, keeping everything covered will help protect you from needless expenditures due to any faulty equipment or accidents. Lastly, your potential customers will be greatly relieved to know that their property is protected. Whether it’s a rock that was run over by a lawn mower and broke a window, or a tree limb was being drug off site and accidentally scratched the client’s car, accidents understandably happen. The main thing you, as a landscaper, need to make sure of is that you are not paying out of pocket for any damage done to customer property. Fortunately an insurance policy for a landscaping business can be tailored towards large companies that work with a multitude of clients, or even small family owned businesses who deal with a few regular customers in town. No matter how large or small a company, the right policy will be selected based on your company’s specific needs. This is a big misconception due to the fact that your Lawn Care Insurance policy does not only cover employees against accidents, but also works to protect your tools, equipment, and even your customer’s property. Don’t assume that coverage is too expensive! 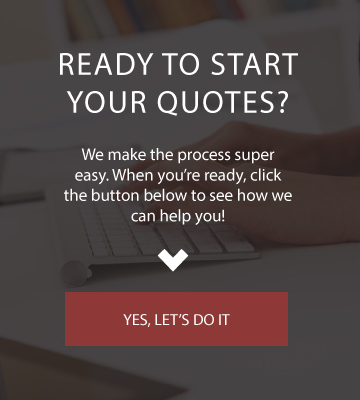 Customizing your insurance policy to match your company needs as well as your budget is very simple to do. 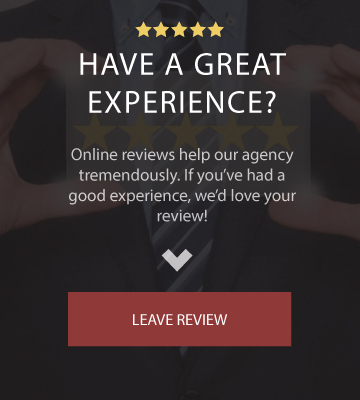 Even if you only have a small business that caters to a few select clients, you can still easily work with an agent an get exactly what you need at the best possible price. While tree trimmers are supposed to take all the precautions in the world, sometimes shortcuts are made to save time and money. This can easily lead to an employee falling and breaking an arm, leg, or worse while on the job! How often does this happen even at your own house? It can be difficult to see those small rocks hidden in the grass. Unfortunately just one small rock can easily shatter a window in a house, or dent a car. If an employee is trimming in a tree and drops a piece of equipment, it is not hard to imagine that piece of equipment breaking or getting damaged from the fall. Unfortunately if you aren’t protected you have to pay for that out of pocket! Trailers can be difficult to manage at times, especially when you are backing up. Whether you are driving the trailer, or someone else is, ensuring that your equipment is protected is definitely something any business owner should do. Call our office directly OR use the form below to submit some basic information to get started.